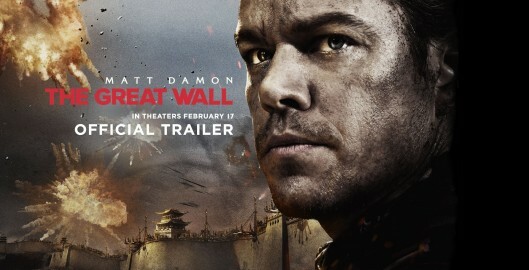 When he is imprisoned within The Great Wall, he discovers the mystery behind one of the greatest wonders of our world. As wave after wave of marauding beasts besiege the massive structure, his quest for fortune turns into a journey toward heroism as he joins a huge army of elite warriors to confront this unimaginable and seemingly unstoppable force. Internationally renowned director Zhang Yimou assembles a filmmaking team and formidable cast that represents the best of East and West with a unique global production that delivers unmissable spectacle on the grandest scale. Directed by Yimou Zhang. Written by Max Brooks (story by), Tony Gilroy (screenplay), Carlo Bernard (screenplay), Edward Zwick (story), Doug Miro (screenplay) and Marshall Herskovitz (story). Starring Matt Damon, Pedro Pascal, Tian Jing, Willem Dafoe, Andy Lau, Eddie Peng, Numan Acar, Lu Han, Kenny Lin, Hanyu Zhang and Cheney Chen. Release date February 17, 2017 (USA). Return to Thumbnail View.